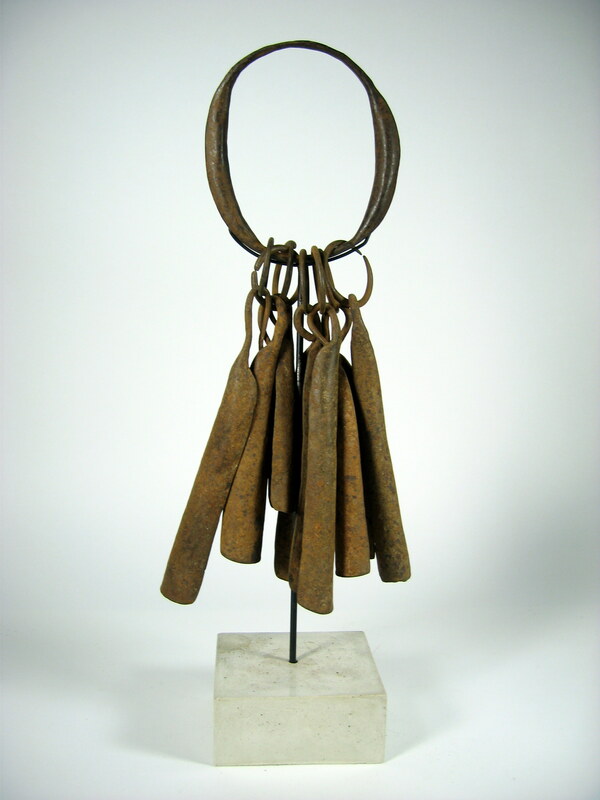 This African iron currency is valued based on the number and size of the pieces on the ring. The currency was traded in large important transactions. One of the more beautiful and artful African currencies. L 5" x D 4.5" H 18.5"